Teresa has worked in the voluntary sector for fourteen years, in both Trust Fundraising with national charities including The Children’s Trust and BLISS, and as a Prospect Research Consultant. 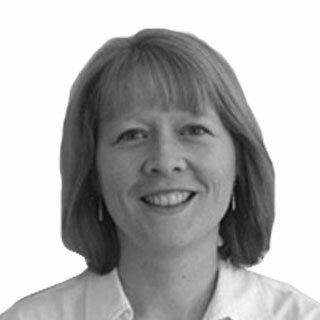 Teresa has worked in the voluntary sector for fourteen years, in both Trust Fundraising with national charities including The Children's Trust and BLISS, and as a Prospect Research Consultant for a range of organisations, including The Imperial War Museum and Oxford Philanthropic. She has also been involved in major donor prospect research for The British Heart Foundation's 'Mending Broken Hearts Appeal'. Recently, Teresa has undertaken research, data interpretation and foundation writing of The Corporate-NGO Partnerships Barometer for C&E Advisory, which is fast becoming recognised and welcomed annually by Directors of the top 100 UK charities and FTSE 100 companies. Teresa has a first class BSc honours degree and an MSc in Environmental Technology from Imperial College, London. She also undertook European funded research at Trinity College, Dublin. Teresa is a full member of The Institute of Fundraising and as a 'thinker and doer' with innovative and contemporary research techniques, strong attention to detail and passion for client care, she is able to deliver high quality client-tailored research.